How safe is your spirulina? 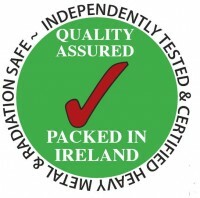 Sara’s Choice products are independently tested for radiation and heavy metals safety. Evergreen, The Hopsack, Nourish, Boots, The Healthstore, Au Natural, Natural Stuff, Natures Hand, Health and Herbs, Organico, Mother Earth, Golden Health Store & Full of Beans are among our stockists in Ireland. Click here for our full list.